Wednesday's Apple event gave me thoughts and feelings, which is the unfortunate side effect of spending so much time following the industry, so I'm going to write some of them here (since the tweetstorm I occasionally expel after such things is not exactly ideal for nuance). The new colours of Sports models and the new bands look like a great mix. I feel like, for all the personalisation options the Watch currently offers, it's still just a bit too samey – even for the middle class people I know, they can't justify going beyond a certain few models, leading to a level of aesthetic homogenisation that just isn't becoming for something that Apple itself acknowledges is immensely personal. These new colours are great options, and combined with third-party bands (we're going to have a massive round-up of third-party bands in Mac|Life before Christmas), we're getting better options for customisation without breaking the bank. It's big. Biiiig. Big in size, and potentially, big in impact. The performance levels they're talking about for the A9X chip would suggest MacBook-matching levels of capability (depending on any number of factors that aren't explained in such simple terms as Apple goes into during the presentation). It matches basically what I expected: a 13-inch screen, most powerful processor in the line, 10-hour battery life, pressure-sensitive stylus, though not, interestingly, a pressure-sensitive screen. I suspect early reviews of it will struggle slightly with its size and weight – it weighs the same as the first iPad, but over the larger area, that weight will be more cumbersome. It's still lighter than the MacBook, mind, for a larger screen – but without the built-in standing abilities of a laptop. The keyboard cover (hello, Surface! Funny to see Microsoft effectively abandoning its own tablet in that keynote for this one, but I think it's the right decision for it) will increase its weight, and costs a frankly alarming $169 – maybe not the automatic addition it perhaps should be. I think the larger screen is a great opportunity, for both Apple and developers – making use of that space (and making an app that works really well in Split View) present yet another chance for apps to differentiate themselves. And that goes double when you add in the pencil (though that's always going to be a relatively niche add-on). Lacking 3D Touch (I'm so pleased they seem to have renamed it from Force Touch) is quite a frustrating omission – it leaves the rest of the iPad line sitting in a holding pattern this year. The iPad mini 4 is, frankly, what the iPad mini 3 should have been last year. It's possible Apple is only happy with the UI for 3D Touch on the iPhone right now, which is fair enough, but it still makes for a fallow year for those of us who love the 9.7-inch iPad. This is pretty much exactly what I want, personally, and I'm hugely looking forward to grabbing one. Siri with deep-searching into content from various apps is ideal, and the controller seems like a good design. I'm excited to see where apps on the TV will go – I can't say I'm fired up much by Gilt, but the thing about the App Store has always been that best stuff comes out of left field. I thought the Harmonix game had all the polish you'd expect, but it all looked a bit… 2007. We know that Apple TV will support game controllers as well as the motion controls of the default controller, and Transistor (which was featured) is a very fine console port, but anything beyond it is going to be difficult. Apple was never going to aim at the high end, and it makes sense for Apple to take its dominance in casual gaming and make the leap to TV. If you're making apps for this new platform, why not make games, since people like playing games on your other devices? I just don't think it's going to make any significant impact. I think the casual players it's theoretically best for (and Apple seems to be aiming at judging by featuring Crossy Road and Beat Sports) will largely bounce off it. The thing is, casual gaming on iOS takes place at a small, personal scale. You fire it up on your phone while waiting on the bus, or bored at work, or watching trash TV. But gaming on your TV requires dedication. Specifically, it requires dedicating the centrepiece of your living room to this pursuit – to intend to dive into that gaming experience to the exclusion of all others you could be doing on the TV at that time, or that someone else in the room might want from the TV while you share the room. Is this how most of the casual gamers playing App Store games feel about games? I doubt it. If they buy Apple TVs, I'd expect the games to stay on the small screen, and Netflix to stay on the big screen. 3D Touch is a really interesting implementation of the technology. It's been used so much more simply elsewhere – just bringing up hidden options. Here we see a smart focus on using it to reveal information as well as offering shortcuts – a way of letting you do things with the fewest possible taps. I think this is a theme in iOS 9, from its proactive elements, to its better use of the Share button for creating reminders and notes, to the 'Back to' button in the top left after you follow a link between apps. Again, it'll be fascinating to see devs take this interaction method and run with it. The new camera and 4K recording both looked… well, sort of the same as most other video and images probably would on the stream on my MacBook Pro, but still great. Some poked fun at Apple for delving into the technical details of the camera's pixel arrangements, but I really appreciated it. If Apple moved to a 12MP sensor, I had questions about maintaining image quality, and this answered them. Did it mean anything to most people? No, but most people weren't on the stream. When they read about the new phone, they'll get the headlines – but those of us who cared got the detail we needed. The camera is the key upgrade in this version for many people, make no mistake. The phone has, really, two new features – and while 3D Touch looks great, relatively few people care about something they've never used on a phone before. A big step up in the camera's numbers is something that appeals to EVERYONE, though. 4K video is an interesting one. I'm a little bit amazed that they're introducing this into a phone with a 16GB model. 16GB is already extremely limiting – Apple's implementation of cloud services simply doesn't ease the burden on the storage enough, as the company has claimed (I think it was Phil Schiller during his talk with John Gruber). Adding larger still images and four times the video resolution is going to make that a lot worse (especially when adding in 'Live Images', despite what Apple says about it not taking up that much more space per image). It is possible that Apple is using H.265 encoding for its 4K video, which would make a big difference here – keeping the video file sizes comparable to 1080p videos encoded with the current H.264 encoding. It might be that the A9 chips have hardware acceleration for this, which is perhaps why the iPad Pro and iPhone 6s were both mentioned as being capable of 4K video editing in iMovie, but there was no mention of support for it in iMovie for any other device – including Macs. That's just speculation on my part at this point, but I hope it's accurate, because it mitigates at least one element of what could otherwise be a farce for anyone who buys the 16GB iPhone. I thought this was a really strong event – though it helps when you have your three biggest products of the year to announce. No fluff (outside of the usual Apple hyperbole), no lengthy explanations of middling music services (ahem), no messing around. I think all the products look potentially great, with the proviso for the Apple TV and iPad Pro that they'll need great support from developers to reach their peak – but I doubt anyone believes that won't happen. 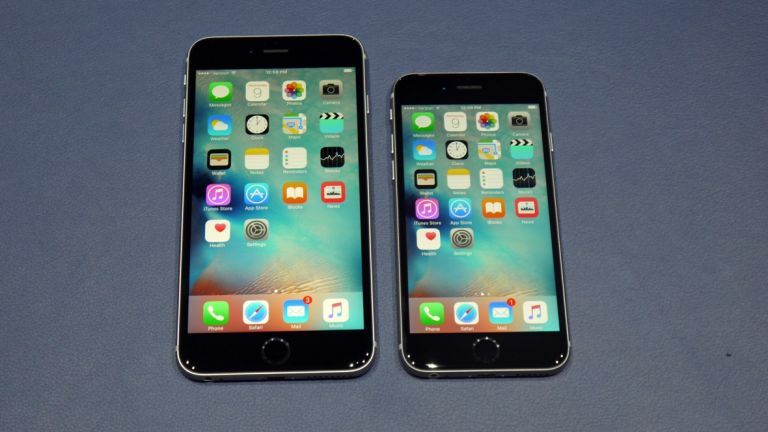 The iPhone 6s is pretty much the quintessential 'S' iterative upgrade, but that's no bad thing. They've nailed speed and the camera, and I really do believe those alone are enough to make it yet another resounding success. In a year, we've had the Watch, the Apple TV and the iPad Pro. If anything, the only problem now is that too much of our rumour fun has been taken away. Sure, we've got the car, but that's probably at least five years out. Oh, hang on, Apple's making Mac-level processors now? Yeah, that'll do. Mathew Bolton is the editor of Mac|Life magazine - get a free issue today with a digital subscription. This article originally appeared on his blog at matthewbolton.com. You can follow Matt on Twitter, if you like.